Blues striker Aaron Drinan came off the bench to win his first Republic of Ireland U21s cap in this afternoon’s 3-0 victory over Luxembourg in Dublin, while Barry Cotter and Corrie Ndaba were unused subs. Elsewhere, Dylan Crowe picked up his fourth England U18s cap, also as a sub, as the Young Lions beat Mexico 3-2 at the SportChain Cup in Dubai. Drinan, 20, who is currently on loan back at his old club Waterford, came off the bench in the final minute of Ireland’s first U21s European Championships qualifier. 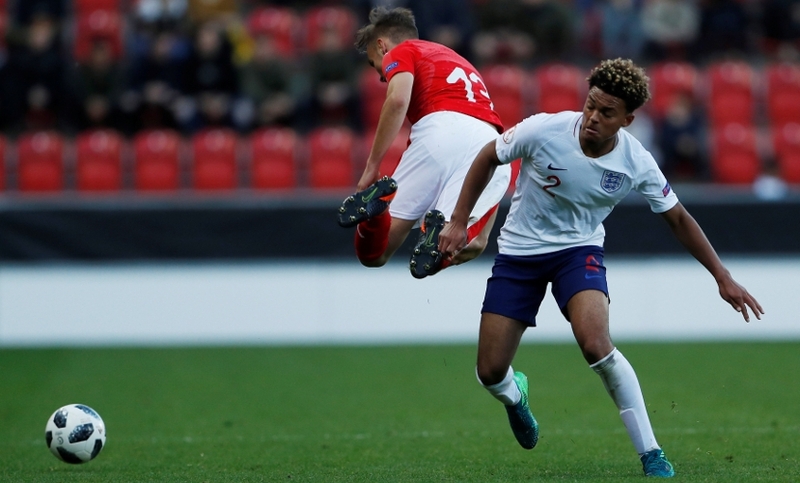 The 17-year-old was previously an unused sub in the 4-1 victory over Japan in England’s opening match, then played the full 90 minutes of Friday’s 1-0 defeat to the tournament's eventual victors. Looks like Crowe will be flying to pastures new turning out for England but not our youth team not signed professional contract strange that. Might cost Evans some money. hopefully Crowe can see a clear path to first team football at right back and sign a contract. Unlikely I know. Maybe Lambert could chuck him in now! Our future looks good with these kids coming through the ranks. Good to see our youngsters getting game time at this level. Will only make them better players. Well done lads.